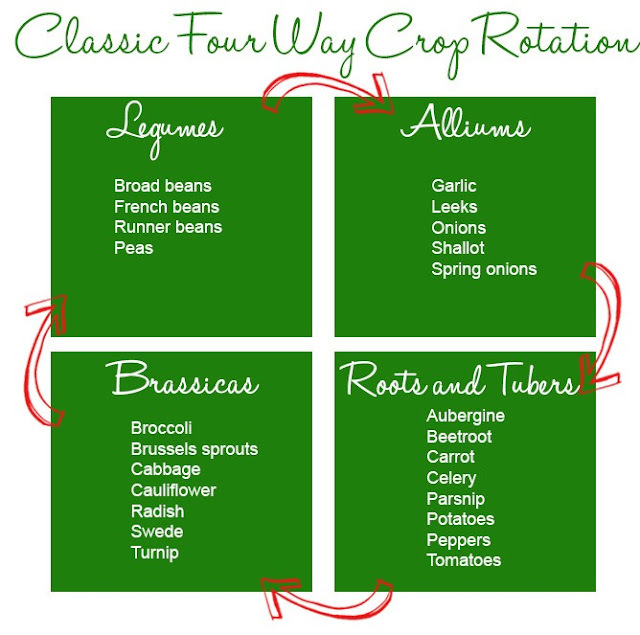 It's that time of year again where planning your growing space or veg plot is essential and so is rotating your crop. The reasons to rotate your crop yearly are to limit disease as much as possible and to give your soil a chance to become fertile again. There are some annual veg that will not fit into the 4 sections above and these can be grown anywhere there is space, just be careful not to grow time after time in the same spot.